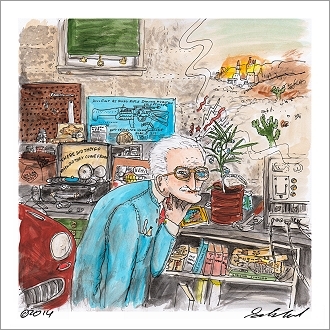 Meet legendary sleeve artist cal schenkel. 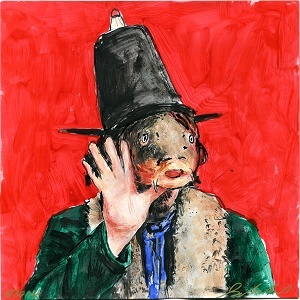 his design for captain beefheart's trout mask replica is listed as one of the top 50 album covers of the 20th century. We CuSToM DeSiGNeD a "HI fi" BeeR FoR ReCoRD SToRe DaY WiTH THe GReat Tired Hands Brewing Company in ArDMoRe PA. FREE BEER For QuaLiFieD record store day PaRTiCiPaNTS at gold million records! 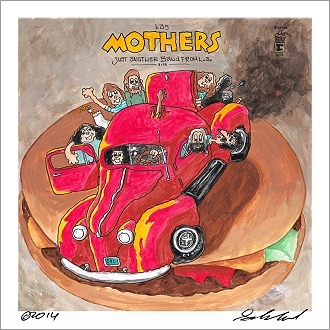 zappa dappa doo dah day cal schenkel artwerks! 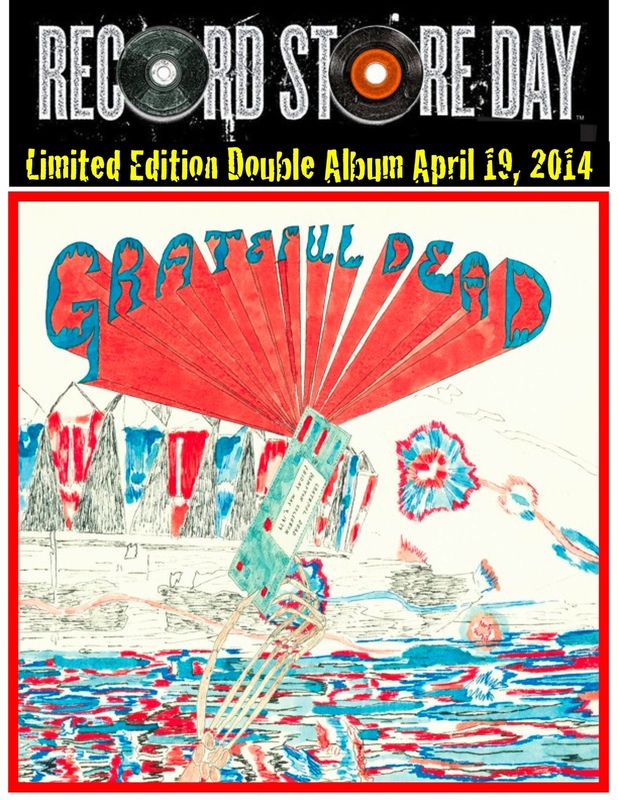 Record Store Day Special Event @ 2:00pm. 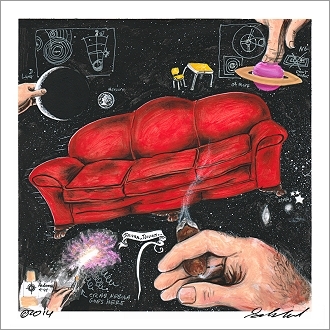 "best music biographer in the business"
gabba gabba hey to wmmr pierre robert. 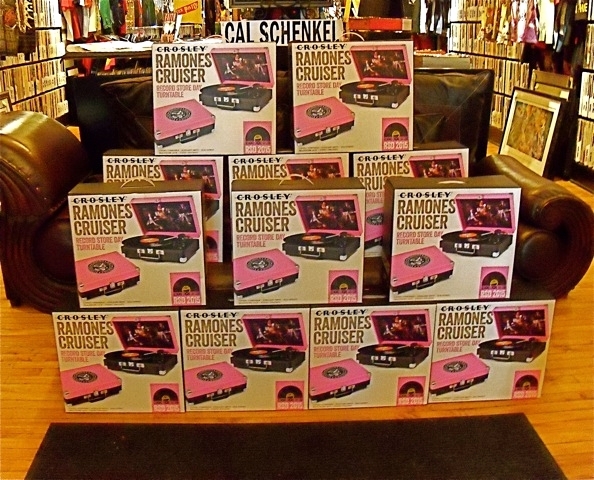 Hear his on-air ramones giveaway below. 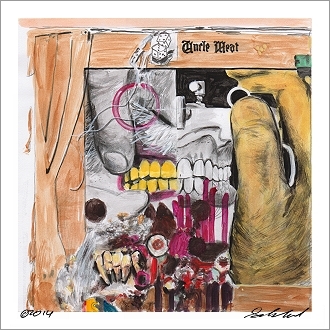 CELEBRATE the 40th anniversary of frank zappa's "one size fits all" with Cal schenkel, the artist who created the original album cover. snat! Exclusive vinyl releases by the following artists will be available @ Gold Million Records on Record Store Day, Saturday April 19. Quantities are limited, no reserves, 1st come-1st served, doors open 10:30AM. 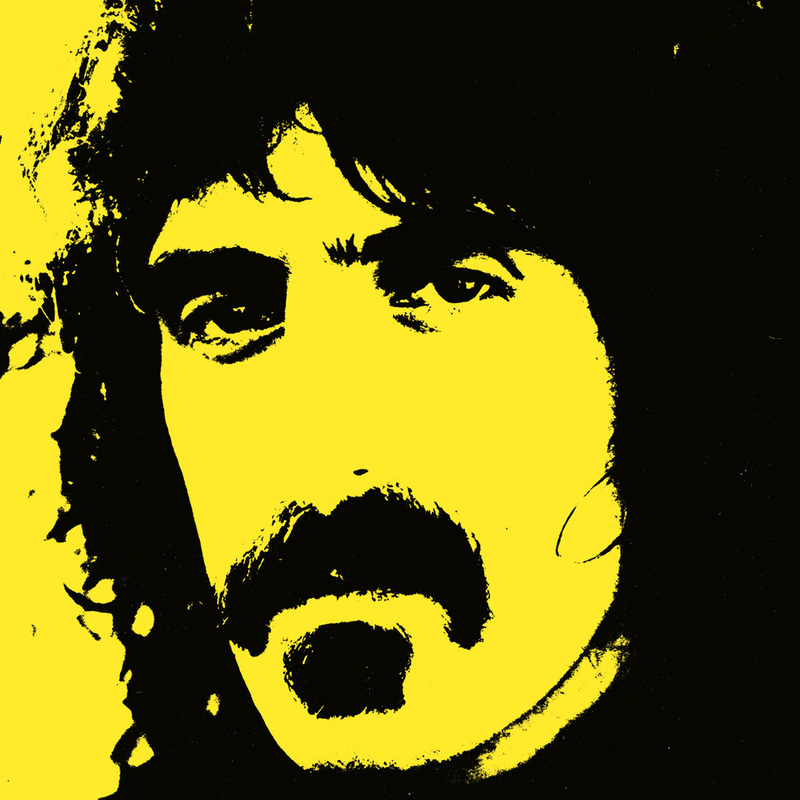 Allman Brothers, Coldplay, Grateful Dead, Jimi Hendrix, David Bowie, The Cure, Dinosaur Jr, Devo, The Flaming Lips, Johnny Cash, Fleetwood Mac, Green Day, Husker Du, J Spaceman & Kid Millions, Pixies, Mazzy Star, Joy Division, Motorhead, Nirvana, The Pogues w/Joe Strummer, Ramones, Soundgarden, Bruce Springsteen, Johnny Winter, Gram Parsons, Steve Earle, The Velvet Underground, The Yardbirds, R.E.M., 311, Jerry Garcia, The Specials, The Stranglers, Fela Kuti, Sun Ra, Tears For Fears, Garbage, Creedence Clearwater Revival, Jaco Pastorius, Sharon Jones, Joan Jett, Jimmy Page & Black Crowes, Frank Zappa, The Zombies, Newport Folk Festival (w/Dylan), Death Cab For Cutie, Paramore, Nina Persson, Wesley Stace, John Oates, Mike Watt, Django Django, Pantera, The Idle Race, Jay-Z & Linkin Park, plus soundtracks for The Pink Panther (pink vinyl) and Wizard of Oz (on yellow wax). 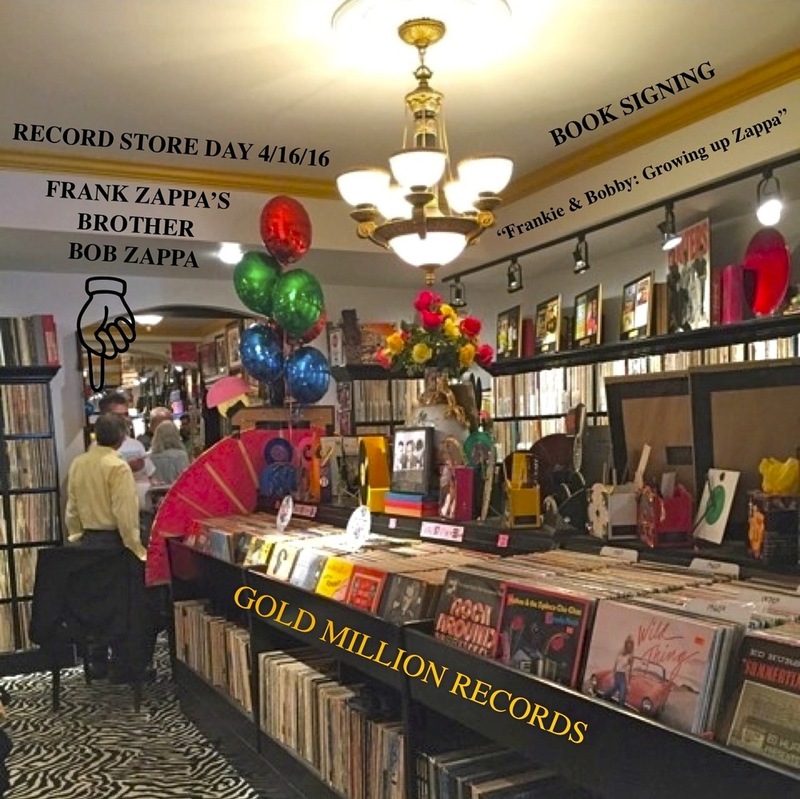 A much favored Record Store Day tradition since 2011, artist extraordinaire Cal Schenkel will spend April 19, 2014 sharing his art and wisdom at Gold Million Records in Bryn Mawr PA. Best known for his works and association with Frank Zappa, including the record album cover designs for The Grand Wazoo, Burnt Weeny Sandwich, Uncle Meat, One Size Fits All, Band From L.A. Cal also designed the iconic Trout Mask Replica for Captain Beefheart, Small Change and Another Saturday Night for Tom Waits, and lots more. 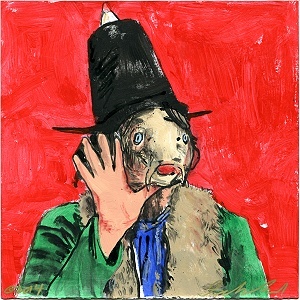 "A series of paintings and studies inspired by the 1969 Captain Beefheart "Trout Mask Replica" LP album cover, hand-painted and signed by Cal Schenkel. Personalized with an inscription on request." For sale (cheap!!!) 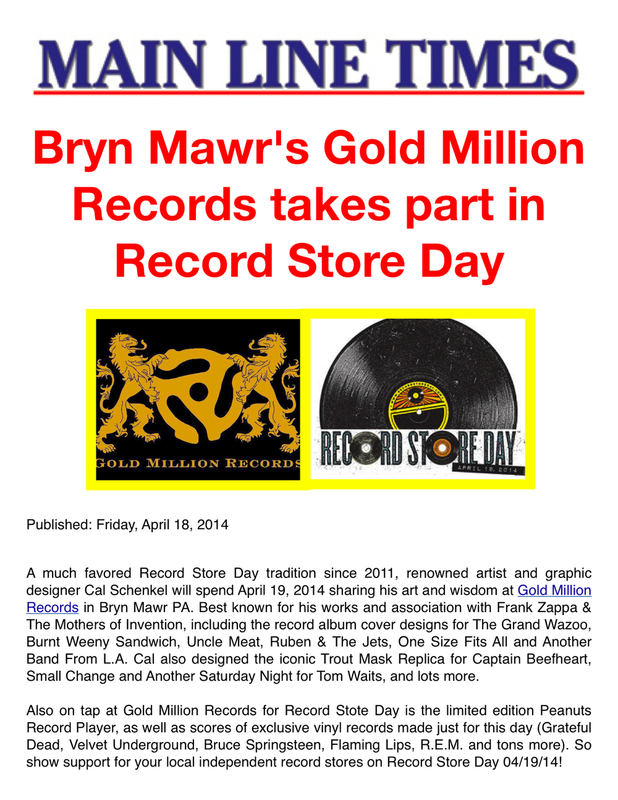 ☛ http://ralf.com/tmrr/ and @ Gold Million Records Gallery in Bryn Mawr, PA. POSSIBLY THE COOLEST. 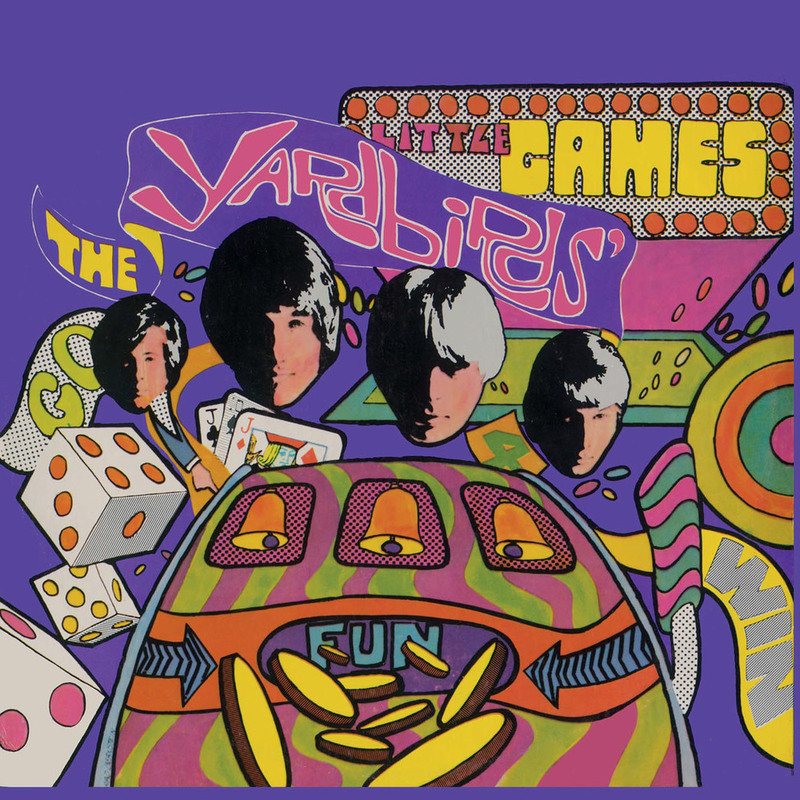 CERTAINLY THE CUTEST RECORD STORE DAY EXCLUSIVE!